The bronze medal went to City of Manchester Aquatics’ Emma Dickson, who clocked 2:45.70. In the 12-13 Years race, Tiverton’s Jodie Dilks was the gold medal winner in a time of 2:40.77. She was 0.21 seconds ahead of Stockport Metro’s Caitlin Lansom (2:40.98), with Guildford’s Louise Bressler third in 2:41.79. Imogen Lambert, of Central Beds Swim Squad, won the 14 Years event by 1.19 seconds. She finished in a time of 2:39.00, with Wigan BEST’s Rachel Hornby second in 2:40.19. Emily Morgan-Hughes, Dartmoor Darts, won the bronze medal in 2:42.32. Millfield’s Alice Chan tasted victory in the 15 Years event after finishing in 2:41.08. Beckenham’s Lydia Mitchell took the silver medal in a time of 2:42.00, while the bronze went to RTW Monson’s Rose Compton in 2:42.38. A commemorative medal was awarded to the winner of the 17 Years and over race after Denmark’s Josefine B Pedersen left the field trailing in her wake. She finished in 2:30.60 – 8.21 seconds ahead of the Swim England National Summer Meet gold medal winner Dayna Riordan (Exeter City) who clocked 2:38.81. City of Cambridge’s Kathryn Loveys won the silver in 2:39.07, while City of Oxford’s Maia Little took the bronze in 2:39.38. Only 0.14 seconds separated the top three in a close 15 Years race. Royal Wolverhampton School’s Daniel Parsons touched home first in a time of 2:31.61, with City of Oxford’s Christopher Sims winning the silver medal in 2:31.71. The bronze went to Crawley’s Jamie Scutt, who clocked 2:31.75. Nicholas Botha managed to hold onto the gold medal in the 16 Years race by the narrowest of margins. 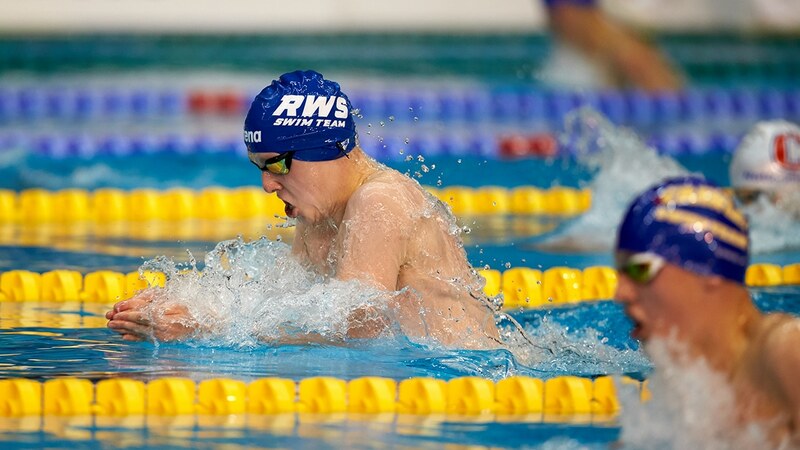 The Bishop’s Stortford swimmer had a 0.77 second lead after 150m and won the event in a time of 2:29.95, with Warrington’s Daniel Kinsella only 0.03 behind in 2:29.98. Team Bath’s Matthew Hardwick was third in a time of 2:30.23. In the 13-14 Years event, Cockermouth’s Jack Smith triumphed in 2:32.73. The silver medal was won by Ellesmere College’s Isaac Hall in 2:33.52, while Thanet’s Oscar Miles was third in 2:35.57. Derventio’s Toby Arnold cruised to victory in the 17 Years contest. He recorded a time of 2:22.69 to win gold – 2.02 seconds ahead of the silver medallist, Ellesmere College’s Stephen Taylor (2:24.71). City of St Albans’ Ralph Muncer won the bronze in a time of 2:25.59. Jacob M Joergensen won a commemorative gold medal in the 18 Years and over race. The Kvik Kastrup swimmer clocked 2:16.56 to win the race by an impressive 3.27 seconds. Stockport Metro’s Kyle Boyek won the Swim England National Summer Meet gold medal in 2:19.83. Guildford’s Sergiu Chete was the silver medallist in 2:20.97, while City of Leeds’ Jake Sykes took the bronze in 2:21.26.